The 46th Annual GMA Dove Awards, hosted by Erica Campbell and Sadie Robertson, will take place on Tuesday, Oct. 13, live from Allen Arena on the campus of Lipscomb University in Nashville, Tenn. and will air exclusively on the Trinity Broadcasting Network (TBN) on Sunday, October 18th at 9:00 p.m (CST). On the heels of the announcement of their upcoming holiday project, MercyMe, It’s Christmas!, MercyMe’s current single “Flawless” is No. 1 at Billboard Christian AC Monitored/Indicator, Soft AC and National Christian Audience Charts as well as in the top spot on the iTunes ® Christian Top Songs Chart. Story will debut her latest book “When God Doesn’t Fix It” on Sept. 15 while her current single “Till I Met You” is impacting radio. Following up his BMI “Christian Song of the Year” distinction, Wickham is currently in the studio working on his sixth studio project to release in April 2016. 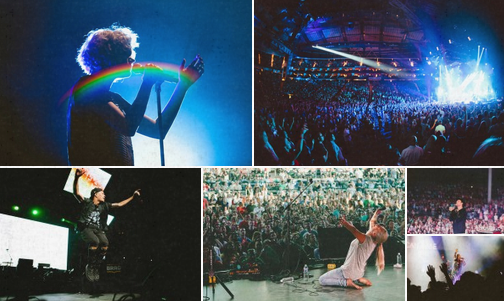 Created and produced by Premier Productions — and fostered through local pastor gatherings — sold-out arenas and amphitheaters were filled with a collective 60 hours of music led by Hillsong UNITED, Kari Jobe, Bethel Music, Jesus Culture, Passion, Crowder, Trip Lee and Lauren Diagle. In addition to elevating the local church’s reach — with some gatherings hosting as many as 18,000 people — OUTCRY heavily impacted child-sponsorship organization, Compassion International, a Christian organization dedicated to long-term development of poverty-stricken children around the world. Over the course of the tour, Compassion received 7,800 children sponsorship commitments, breaking their single show record in Houston with 990 in one evening. Speak Life in Word, Music, & Action! Camp LuWiSoMo in Wild Rose will present the Speak Life Youth & Family Weekend, featuring Bob Lenz, Ryan Stevenson, and AJ the Illusionist on Saturday evening, September 12. Everyone is welcome! Bob Lenz is an internationally known speaker and author who is widely recognized for his ability to ignite young people’s faith, connect with their hearts and minds, and share experiences that help them deal with real life while challenging them to make a difference in their world. A.J. the Illusionist shares his comic physical illusions with audiences around the world. Using his expertise in visual performance, A.J. communicates the love of God in powerful ways you will never forget. Ryan Stevenson is a singer/songwriter best known for recording “Holding Nothing Back” and “The Human Side”; his message is one of faith and trust. 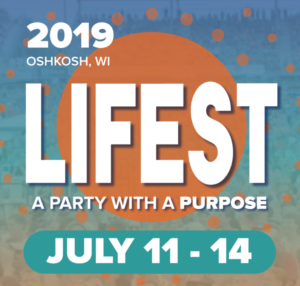 Speak Life festivities will begin Friday evening with a welcome buffet from 4-8pm and a campfire after dusk. Camp activities such as boating, fishing, hiking, archery, horseback riding and meals & treats will be available throughout Saturday; Sunday morning after breakfast the Reverend Bill Meier and Ryan Stevenson will lead a worship service in the chapel. In addition to the entertainers, activities, food, and worship, Camp LuWiSoMo is hoping to make a difference in the local community through a donation for the Foundation for Living in Waupaca. Please bring non-perishable food and personal care items, such as Granola Bars, Breakfast Bars, instant soups, canned goods, and soap, toilet paper, or laundry detergent to pass on to this worthy organization. Youth and church leaders of all denominations are encouraged to register their groups in advance; if registered by September 11, the leader will receive free admission and a free gift. Singer/rapper/songwriter/author/skater Manafest pushes musical envelopes, creating an uplifting, seamless blur between the spectrums of rap, hip-hop, rock and pop while selling 300,000-plus albums, playing more than 1,000 events logged over four continents and garnering four Juno and five GMA Dove Award nominations along with nine GMA Canada Covenant Awards. After seven albums in the major label system, and anchored by a sea of tastemaking fans that fully funded his current PledgeMusic campaign, Manafest will return to his indie roots for his next groundbreaking album, Reborn, releasing Oct. 2 through The Fuel Music. Pre-orders are being received now at www.pledgemusic.com/manafest. Inspired by a full-circle season that mirrors the hunger and predominant hip-hop flavors accompanying this versatile artist’s self-released debut a dozen years ago, Reborn is part of a creative surge that’s been churning in the performer’s mind for quite awhile. “I’ve always rapped, even on the rock stuff, but I’ve wanted to do a more hip-hop influenced record for a long time,” says Manafest. “I started thinking about that just after Fighter came out, which was my second kind of more real rock record like The Chase, and then last year’s The Moment was a bit of a hybrid record. For Reborn, I decided to go back to hip-hop, but even the way I do hip-hop isn’t the traditional ‘boom, bap,’ stuff, so I don’t think the fans who like more of the rock stuff will be disappointed. Joining Manafest in the process of creating Reborn are producers Seth Mosley (Newsboys, Audio Adrenaline, Sanctus Real) and Joel Bruyere (Thousand Foot Krutch), along with several eclectic guest performers. The signature rock vocals of longtime Manafest collaborator Trevor McNevan (Thousand Foot Krutch) lifts the chorus in “Shine,” a song about living each day to maximum capacity and ‘beaming your light’ along the way. Rappers Tedashii and Shonlock vibe alongside Manafest on “I Have A Dream,” a track that carries on the message of peace and unity that Martin Luther King, Jr. began. Former Family Force 5 lead vocalist Soul Glow Activatur (Solomon Olds) joins Manafest on the rhythmic party rocker “Stick To Your Gunz,” an all-out anthem for surviving the struggle and never going down for the count. The album also features musicians like guitarist Jerry McPherson (Jewel, The Neville Brothers) and drummer Miles McPherson (Paramore), whose pop/punk rhythms propel lead single and video “Let You Drive.” Premiered this week by NewReleaseToday.com, the song is available now on iTunes, Spotify and more, and goes for radio adds nationally on Aug. 14. The single is about taking your hands off the wheel and knowing that God’s got everything under control. Taking the new music and messages of Reborn, along with his long list of fan favorites, on the road, Manafest brings his live concert experience to fairs, festivals and parks internationally this summer before returning to North America to launch his “Reborn Tour” Sept. 17 in Evansville, IN. Manafest (a.k.a. Canada native, Chris Greenwood) has organically built his fan base since his seminal indie EP Misled Youth launched in 2001. In 2005, Manafest released his first label recording, Epiphany, on BEC Recordings, which launched a series of seven best-selling, award-winning studio albums and one live DVD/CD. In 2006, Manafest’s rock anthem “Impossible” from the album, Glory, that features Thousand Foot Krutch’s Trevor McNevan, became a global hit. Two years later, Manafest’s Citizens Activ gathered multiple TV placements and was followed by 2010’s The Chase, which received a JUNO Award nomination and won a 2010 GMA Canada Award. In 2012, Manafest’s Dove Award-nominated Fighter debuted at No. 16 on the iTunes® Rock album chart, No. 7 on the Billboard Heatseekers chart and No. 8 on the Japan iTunes chart. The next year, Manafest released his first book, Fighter, followed by 2014’s acclaimed album, The Moment. Selling more than 300,000 records worldwide, Manafest songs have been featured in video games, as well as on “CSI: Miami,” “NFL,” “Knight Rider,” “NBC-GRIMM,” “One Tree Hill,” “Jockeys,” “MTV Unplugged” and “So You Think You Can Dance Canada.” He has also toured throughout the United States, Canada, United Kingdom, Australia, New Zealand, Japan, Russia, Ukraine, China, Ireland and more, while sharing stages with artists like Thousand Foot Krutch, Skillet, RED and many others. 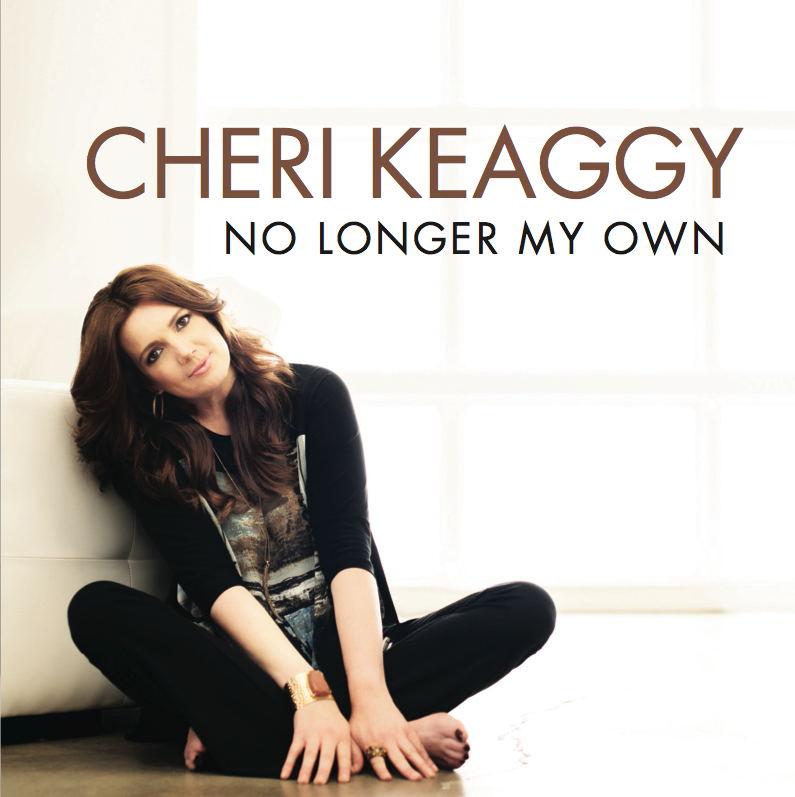 NASHVILLE, Tenn. (August 7, 2015) – Psalm 91 Records has announced the release of Dove Award-winning recording artist Cheri Keaggy’s latest album, No Longer My Own, to retail today, Friday, August 7. The project, which is distributed by Elevate Entertainment, is the singer/songwriter’s ninth full-length CD to date. Donning the producer’s hat, Keaggy employed the talents of some of Nashville’s top musicians, skillfully steering the project’s instrumentation and her own trademark velvety vocals toward the pop and gospel genres. The result is a cohesive collection of Christ-focused songs that exude a sense of deep felt conviction and, ultimately, surrender. No Longer My Own seeks to embolden fellow sojourners of the faith to live more fearlessly for Christ. Perhaps that sentiment is best expressed in the album’s title cut, a song inspired by the “Covenant Prayer” popularized by John Wesley. Listeners can look forward to such vertically oriented songs of celebration as “Lucky To Be Breathing Your Air,” prayerful petitions like “Jesus, One and Only,” poignant ballads like “You Go Before,” and the powerful anthem, “Overcome,” a response to recent news reports of believers facing persecution, even unto death, and the increase of moral decay in our nation. She also enlists her uncle, Grammy nominee and Dove Award winner Phil Keaggy, who contributes a jubilant ukulele track in the lighthearted Scripture song, “Whatever is True (Phil. 4:8).” Composing new music and melody to the hymn “He Giveth More Grace” in her newly named “The Giving Song,” she includes a hint of the church classic, “I Surrender All.” She offers an invitation to abide in “I Love Your Company,” a sentiment that echoes every parent’s wish to see their child content and at rest in blessed communion. Perhaps the most poignant and achingly honest song on the project is Keaggy’s newly penned, “Be My Sabbath,” which serves as a desperate cry for God’s restorative power and refueling. She wrote the song after experiencing the sheer elation of reaching her goal on the Kickstarter campaign that funded the CD, and the unanticipated physical and spiritual burnout that followed. And realized a song was brewing. Keaggy employed the innovative Kickstarter crowd-source business model to fund the project, joining such high profile Christian recording artists as Shaun Groves, John Schlitt, Five Iron Frenzy and Thousand Foot Krutch, who also used the outside-the-box service to fund recent projects. Keaggy is no stranger to the business model, having successfully employed Kickstarter to raise nearly $25,000 to fund her 2012 release, So I Can Tell. While Keaggy admits to being both humbled and excited by the number of doors that opened for ministry through concerts, church services, women’s events, TV appearances, interviews, and radio airplay as a direct result of So I Can Tell, she insists the story is far from over. With a quiver full of new songs burning in her soul, Keaggy prays No Longer My Own will inspire and embolden fellow saints to live more fearlessly for Christ. 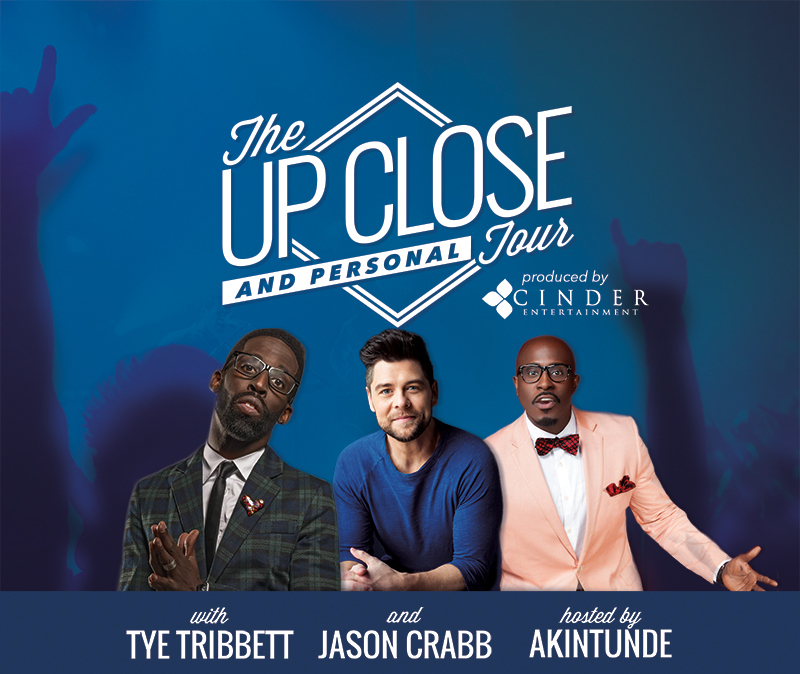 GRAMMY winners Tye Tribbett and Jason Crabb will join with popular comedian Akintunde for the Up Close and Personal Tour this Fall. The Up Close and Personal Tour, presented in conjunction with Feed the Children, will feature popular comedian Akintunde (BET’s The Monique Show and Comicview, TBN’s Praise The Lord, CBN’s The 700 Club) as the tour’s host. One Reserved Concert Ticket in rows 4-10, Entry into Pre-Concert Reception, Exclusive “Up Close and Personal Experience” Panel Discussion with Jason Crabb and Tye Tribbett, Tour Gift bag (exclusive to VIP guests), Exclusive log-in for download and purchase of photos from the event, Official autographed “Up Close And Personal” laminate, Separate VIP red carpet check-in. GENERAL ADMISSION: Concert-only tickets are also available. Tye Tribbett and his group, G.A. (also known as Greater Anointing), burst on the national stage when their song “Let Go, Let God” was featured on the soundtrack of Steven Spielburg’s hit animated feature film, The Prince of Egypt. Tribbett and G.A. soon found themselves sharing the stage with such superstars as Gloria Estefan, LeAnn Rhimes, Elton John, Luther Vandross, and Stevie Wonder. An invitation from mega-producer David Foster to perform onstage at the annual City of Hope event at Universal Studios in Hollywood led to national tours singing backup for Faith Hill, Tim McGraw and Don Henley. G.A. ‘retired’ in 2009, allowing its members to pursue their personal goals and dreams. Today, the radical entertainer that is Tye Tribbett continues to shatter the mold of what is traditionally known as Gospel music. With one of the most relevant voices of this generation and a sound that reaches the masses, Tribbett creates a dynamic new caliber of music. His high energy, powerful, and infectious music has helped redefine gospel music, and garnered him a bevy of prestigious awards and nominations, including multiple Number 1 Albums, Stellar Awards and GRAMMY Awards. Billboard’s Top Gospel Chart, #4 on iTunes, #9 on Billboard’s Top 200, earning a Stellar Award and two GRAMMY Awards. For more information about Tribbett and Greater Than, visit tyetribbettworldwide.com. In his career, Kentucky-born Jason Crabb has won a GRAMMY and 21 Dove Awards, both as a solo artist as well as with the Crabb Family. In 2012, the Gospel Music Association’s Dove Awards crowned Crabb as both Artist and Male Vocalist of the Year. 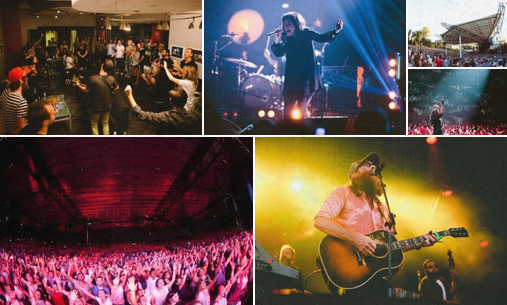 Since his first solo release in 2009, Crabb has performed at many of the world’s most prestigious stages, such as Carnegie Hall, The Grand Ole Opry, The Brooklyn Tabernacle and Billy Graham’s final crusade in NYC. He has also shared the stage with artists such as Wynonna, Brad Paisley, Blake Shelton, Sandi Patty, the Oak Ridge Boys and more. He has appeared on Donald Trump’s Celebrity Apprentice (NBC) and alongside Duck Dynasty’s Willie Robertson. Crabb has been covered by such outlets as Associated Press, The Huffington Post, Billboard, USA Today online, Fox News, Entertainment Tonight, and Country Weekly, among others, and was named one of Nashville’s Most Beautiful People by Nashville Lifestyles Magazine. Crabb is also a host at TBN (Trinity Broadcast Network). His upcoming project, Whatever the Road, will be available September 18, 2015 from Provident Label Group. For more information about Crabb and Whatever the Road, visit jasoncrabb.com. Akintunde is the 2014 Dove Award Comedian of the Year and a 20 year comedy veteran. He is also a sought-after screen and television writer with over 350 original television episodes of writing credits. Ak has written for It’s Showtime at the Apollo, The BET Awards, and The NAACP Image Awards and worked as a head writer and producer for BET Networks’ The Monique Show. In addition to multiple appearances on The Word Network, TBN, The Gospel Music Channel, and The Stellar Awards, Akintunde has been on 10 national tours in the past five years. He toured with Pastors Creflo and Taffi Dollar on The Change Experience Tour for four years and hosted a tour with TeenMania’s Acquire The Fire. For the last three years, Akintunde has been featured at T.D. Jakes’ Megafest and Woman Thou Art Loosed Conferences. For more information about Akintunde, visit Akintunde.net. (LOS ANGELES, CA) — On September 4, 2015, FEARLESS BND will be releasing the new single Brighter. This is the first single to be released in their once-a-month structure, and the first since rebranding from their previous identity as groundbreaking modern worship outfit Worth Dying For. FEARLESS BND, the sound of worship at Fearless LA, is launching a loaves and fishes approach to creating new music for the church. The sole purpose is to equip and empower pastors and worship leaders with songs, media, video, graphics, sermon/song notes, tutorials and more. One innovative, congregationally ready media package at a time, every first Friday of the month. Trying to come up with a name for the church that would encapsulate both its radical and positive foundation, the couple started digging around for inspiration. And then they saw it: A scared world needs a fearless church. A.W. Tozer. And so the church-planting season began, migrating from seven different locationsnightclubs, studios and warehouses, at a bonfire on the beach, in a coffee shop, an old garage and eventually back to a nightclub. And as the dreamers came in droves to see this new church, what had been true in their Worth Dying For days was no less true in the City of Angels: when you give people their own words to sing to God, something that reflects whats happening in their lives right now, God does something explosive with it. The stories behind the songs of FEARLESS BND as the story of Fearless LA itselfreflect a move of God, not born of glitz and glam and achieving acclaim in a city full of stars, but born out of encounter with grace. Were seeing so many people getting saved, finding new life and new birth in this place. Their world is being revolutionized, so theyre writing from that struggle, fighting for the dreams in their hearts, says Jeremy, who has seen nightclub staff, security guards and club patrons encounter the truth of Jesus at Fearless LA. That, Jeremy says, is the driving passion behind FEARLESS BND, to share the gifts God has given this church in the land of broken dreams with worship pastors and leaders around the world, equipping them to lead with power and excellence in todays content and media-saturated culture. DETROIT (August 5, 2015) – Gospel’s most iconic and groundbreaking artists come together on Rendezvous Music’s new collection, Evolution of Gospel, set for release online and in stores September 4. Distributed by Provident, the CD celebrates 15 brightest, biggest, and most enduring Gospel songs and singers. Since its birth out of the African American spiritual experience, Gospel music has always been deeply rooted in the faith. Throughout the years the music has stirred hearts, recharged souls and maintained an integral presence in church congregations and in the artists who deliver the lyric and music with obedience and spirit. Evolution of Gospel features the defined Gospel sound that inspired fans over the decades. The genre’s sound evolved, but still maintained its distinctive contribution to music. 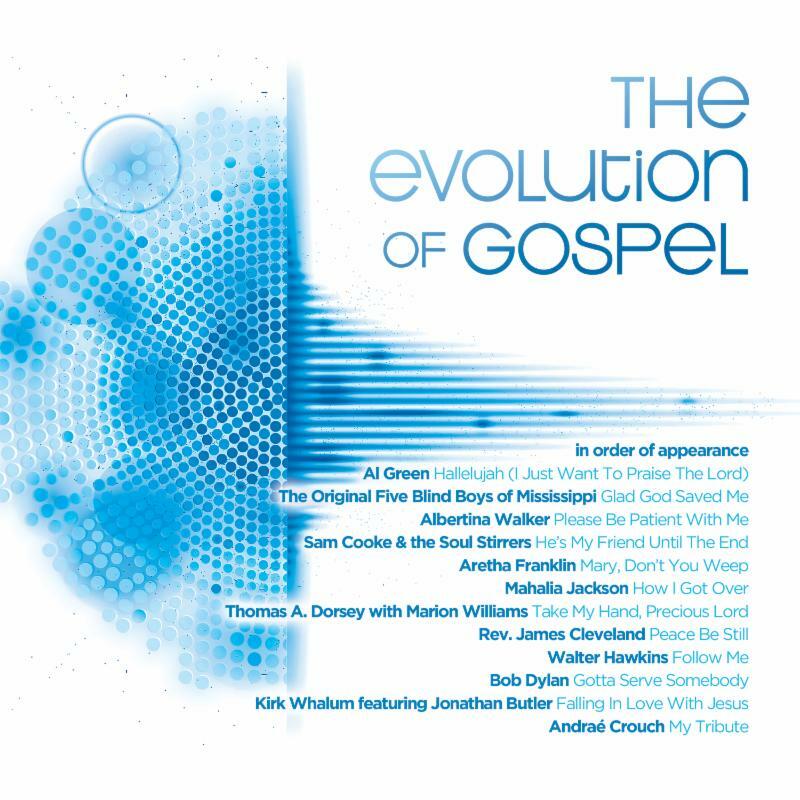 The Evolution of Gospel anthology captures the essence of Gospel’s greatest melodies from Al Green, Albertina Walker, Andraé Crouch, Aretha Franklin, Bob Dylan, Kirk Whalum featuring Jonathan Butler, Mahalia Jackson, Rev. James Cleveland, Sam Cooke & the Soul Stirrers, The Original Five Blind Boys of Mississippi, Thomas A. Dorsey with Marion Williams, and Walter Hawkins. These artists paved the way for many others who followed in their footsteps and continue the ‘evolution of Gospel’ today and in future generations. A division of Mack Avenue Records II, LLC., Rendezvous Music is a record label founded in 2002, by multiple Grammy Award nominee and RIAA Certified Gold recording artist, Dave Koz, renowned radio entrepreneur, Frank Cody, and music business veteran Hyman Katz. Along with Rendezvous Music, Mack Avenue Records II, LLC., is home to Artistry Music and Sly Dog Records, featuring musical artists in jazz, smooth jazz, traditional jazz and Gospel. For more information on Rendezvous Music, visit www.mackavenue.com/rendezvous_music. (ANAHEIM, CA) — Multi-platinum rock band Stryper is taking Stryper Fan Weekend to the West Coast this year. The popular fan event will take place September 10-13, 2015 in Anaheim, packed with exciting events, special guests and more fan access than ever before. Stryper Fan Weekend will provide fans with the opportunity to go back in time to Southern California  the place where it all began for the band. A number of once-in-a-lifetime events are being planned, including a wide variety of special guests. For the first time, Stryper will bring together some of the people who helped shape their career, and fans will have the opportunity to meet and interact with both current and former managers, road pastors and other band personnel. While fans have come to know Stryper Fan Weekend as an annual event, 2015 will mark the final event for the foreseeable future. Due to heavy touring, recordings schedules and other project commitments for the individual band members, 2015 is scheduled to be the final annual event. Stryper will continue to offer their popular Meet & Greets throughout the 2016 tour and beyond. The bands all-new studio album, Fallen, will be available in North America on October 16th via Frontiers Records. Fallen is available for pre-order via digital retailers and can be ordered via iTunes at http://radi.al/StryperFalleniTunes and via AmazonMP3 at http://radi.al/StryperFallenAmazon. It is also available in various physical configurations at www.stryper.com/fallen. Stryper is one of the top Christian rock bands of all time. Comprised of the original line-up, Stryper has been rocking since 1984, and is responsible for such ’80s metal classic albums as Soldiers Under Command, To Hell With The Devil and In God We Trust. In fact, Stryper is the first band to ever have two songs in MTVs Top 10 simultaneously with their hits Free and Honestly. After a sabbatical for much of the 1990’s, Stryper returned strong in the early 21st century. To date, the Dove Award-winning and GRAMMY nominated band has sold upwards of 10 million records worldwide. Their last studio album No More Hell To Pay debuted in the Top 40 of the Billboard Top 200 landing at #35. For more information, visit www.stryper.com. Nashville, Tenn. – (August 3, 2015) – Alternative Pop/Rock band Family Force 5 announces their 12-city headlining “Tour Stands Still” Tour with special guests Born Cages, which kicks off Friday, October 16 in Vienna, VA and wraps Monday, November 2 in Chicago, IL (complete list of tour dates below). Family Force 5 – known for their electrifying live show and for always bringing the party, and whose music has been featured on ESPN and music videos have been viewed more than 30 million times on YouTube – are currently on a main stage run as part of the 2015 Vans’ Warped Tour, which will then lead directly into their own “Tour Stands Still” Tour. Following “Tour Stands Still,” Family Force 5 will release their latest remix project, the 8-song Time Still Stands, which will be available everywhere November 6, 2015 and will feature remixes by Matoma (“This Is My Year – Matoma Remix”), Tim Yago (“Time Stands Still – Tim Yago Remix”), and Smile Future (“Let It Be Love – Smile Future Remix”). About Family Force 5: Alternative Pop/Rock band Family Force 5 – which consists of members Derek Mount (“Chap Stique” / guitar, vocals), Jacob Olds (“Crouton” / vocals, drums), Joshua Olds (“Fatty” / bass, vocals), Nathan Currin (“Nadaddy” / keyboards, vocals, percussion) and Teddy Boldt (“Hollywood” / drums, percussion) – formed in Atlanta in the summer of 2005. Creating chart-topping albums and achieving impressive success at radio with their No. 1 hit “Let It Be Love,” alongside singles such as “Walk On Water,” “Show Love,” “Superhero” and “Not Alone,” Family Force 5’s music music videos have received more than 30 million YouTube views, including “Sweep The Leg,” “BZRK (feat. KB)” and “Chainsaw.” For more information, visit www.familyforce5.com.